The art of search engine optimization is one that encompasses many aspects of internet usage, content creation, website management, social media and more. It utilizes concrete and abstract actions to piece together a broader assessment of your website’s health and its performance in key search engine results. Many SEO enthusiasts and brand managers get wrapped up in the technical considerations of search engine optimization without considering key elements of the bigger picture. In the following article, we will discuss a few simple questions that SEOs must ask themselves before they get bogged down in other important considerations. Can My Content Be Found? Between keyword research and content marketing strategies, it can be easy to forget about smaller yet important SEO considerations. One very important question that must be asked is, “can my content be found?”. This question primarily applies to search engine crawlers and bots; if they are incapable of crawling your website and discovering new content, then all the amazing content in the world won’t save you from a disastrous fate. In addition to this, the same can be said for your readers. Is your content prominently featured in a blog section and alongside each page in a “newest posts” element, or is it tucked away so deep in the website that many will simply give up before finding it? Pinging for SEO involves many elements, not least of which is the ability for search engines and users to easily discover the content you produce. Before you begin fretting over every little technical consideration that SEO can present, you first need to ensure that the content of your message and brand is easily digested. This can mean different things for different brands, but it basically boils down to: how easy is it for my visitors to figure out who we are, what we do and why they would benefit from us? 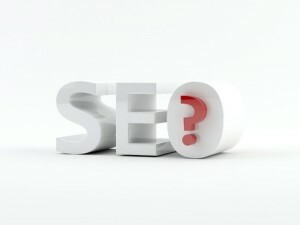 In order to further facilitate the answer to this question, take a look at the content offered on your website. There is a balance between simple posts that only contain 100 words and dissertations that turn off even the most interested individuals. One excellent way to get an idea of what your visitors may be perceiving as your message is to look at keyword reports in order to figure out what exactly is bringing them to your website. Can My Content Be Shared? Virtually any piece of content on the web can be shared in one way or another – at the very least, someone can copy and paste the URL and send it to a friend via email. This, however, is not conducive for content marketing and sharing strategies in the 21st century. A website with ample sharing potential will obviously include social sharing widgets/buttons on every page. This means that not only should there be sharing options for individual blog posts, but the same should exist for entire pages, especially those that feature comprehensive information about your brand or resources that others may find useful. Pinging for SEO is just one part of the greater picture; by enabling social sharing options at every turn, your content will reach more people on a regular basis.